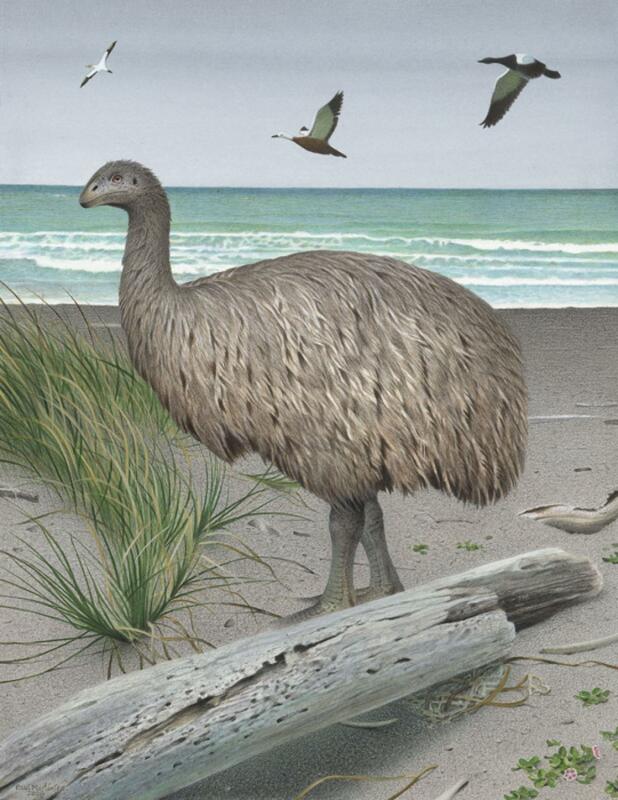 Geographical variation: North Island birds (subspecies E. curtus curtus) varied greatly in size, being largest in the south, where they were similar in size to the South Island subspecies E. c. gravis. 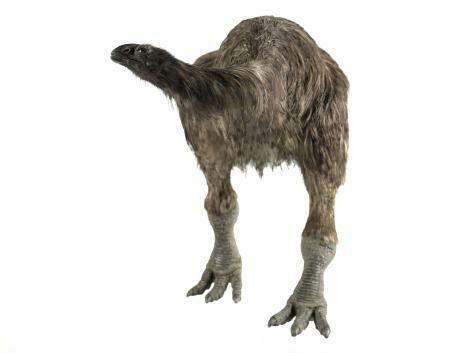 The stout-legged moa was a short-legged, bulky moa that is placed in its own genus. 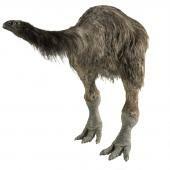 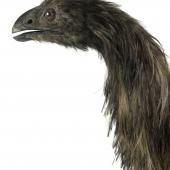 It was one of the most widespread moa and varied greatly in size over the length of the country. 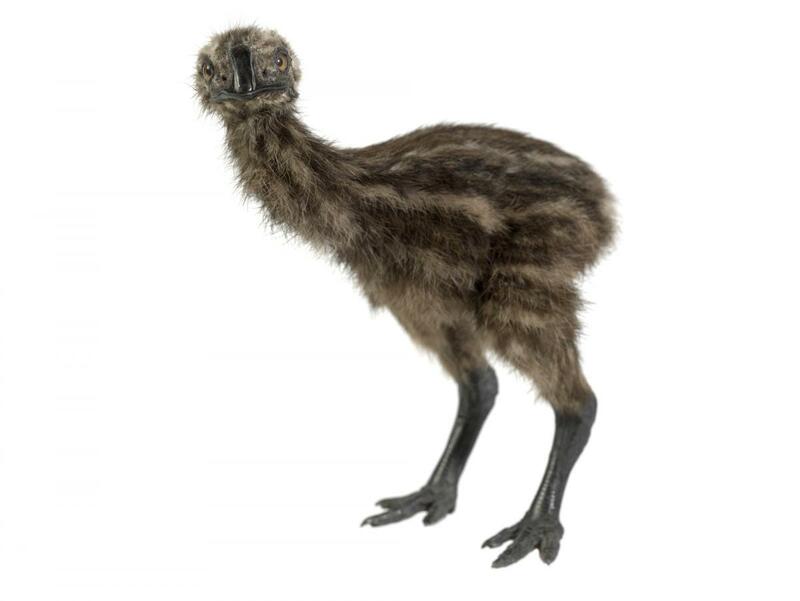 In the Far North individuals of this species were some of the smallest moa known, but in the South Island birds of the same species were large and robust. 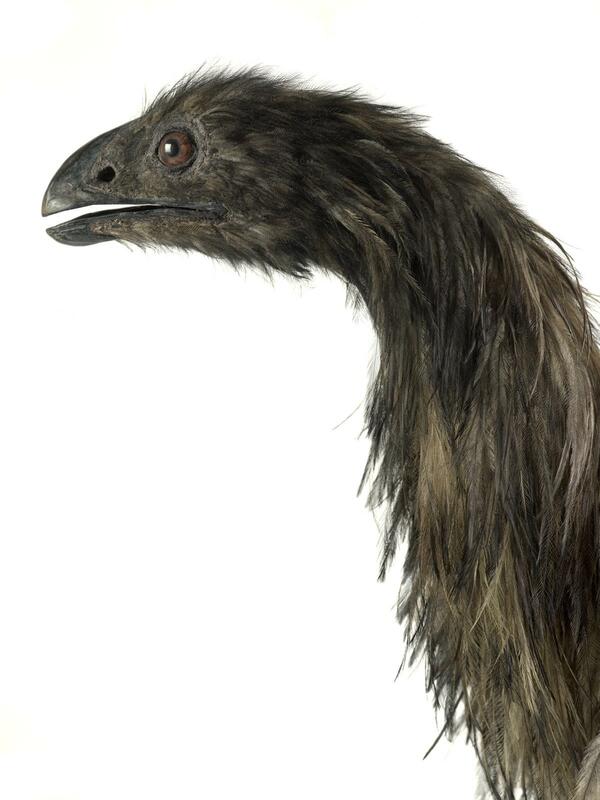 Stout-legged moa and eastern moa were remarkable in having a very long, elongated windpipe which probably enabled them to make louder calls than those of other moa species. 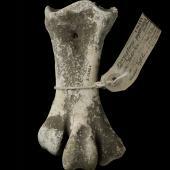 The windpipe included a loop up to one metre long that ran downwards inside the left side of the body, and across to the other side before it doubled back on itself to the breast and into the lungs. 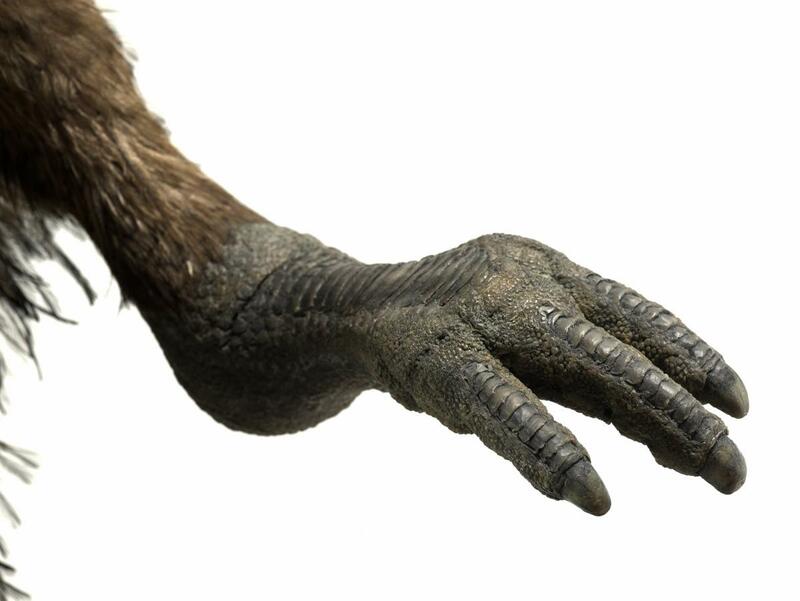 Modern day swan, crane and some spoonbill species also have elongated windpipes, used to make their resonant bugling calls. 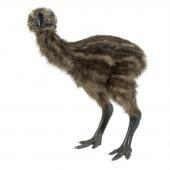 DNA study suggests that moa were more closely related to the flighted South American tinamou than to the kiwi. 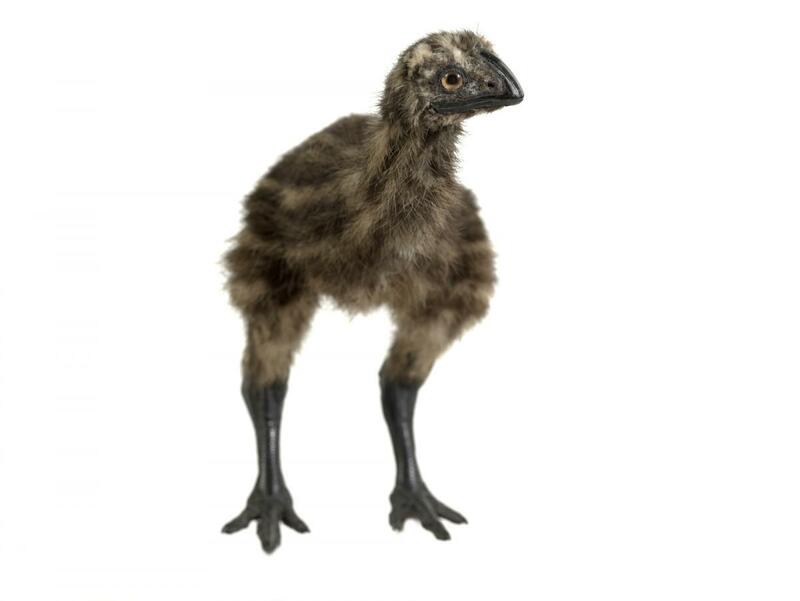 Stout-legged moa were stout, short-legged moa with relatively small heads, and compact, blunt, decurved bills. 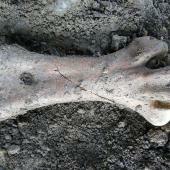 They had thick legs and very wide feet. 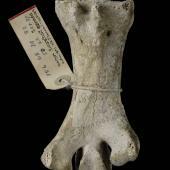 Adult females were, on average, almost twice as large as adult males. 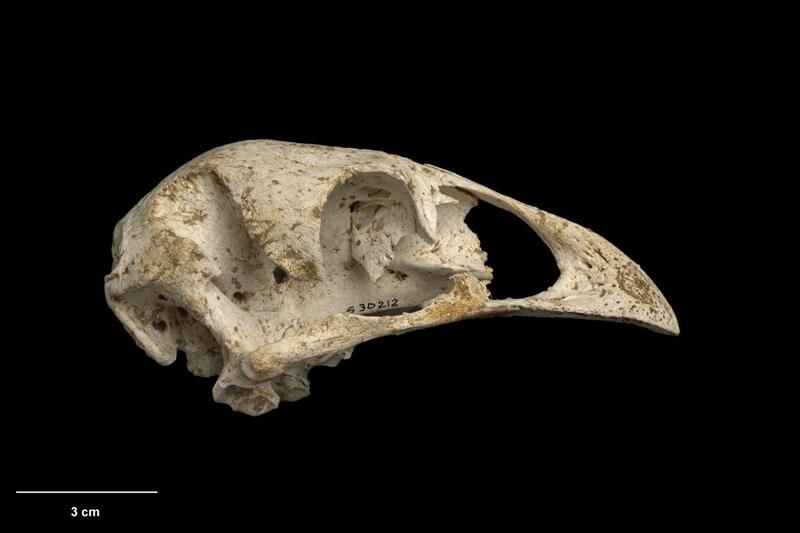 Both sexes were much larger in the south of the species’ range. 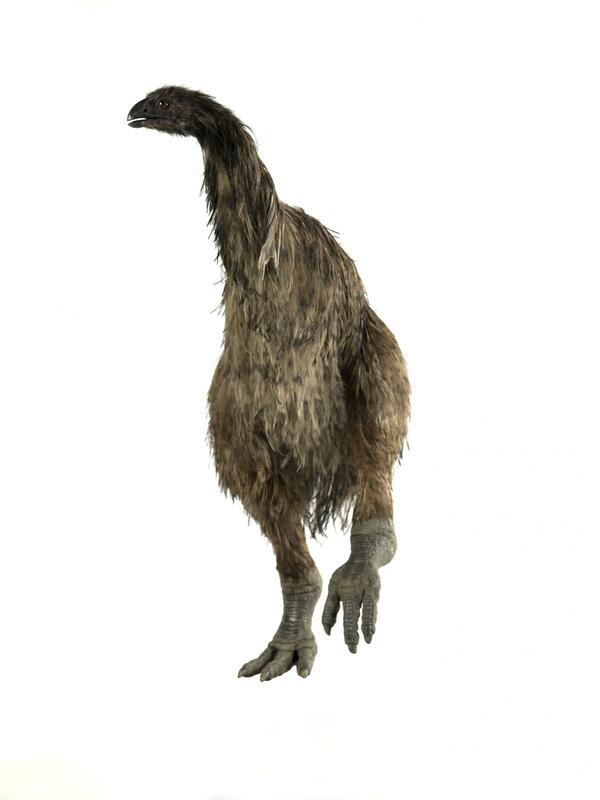 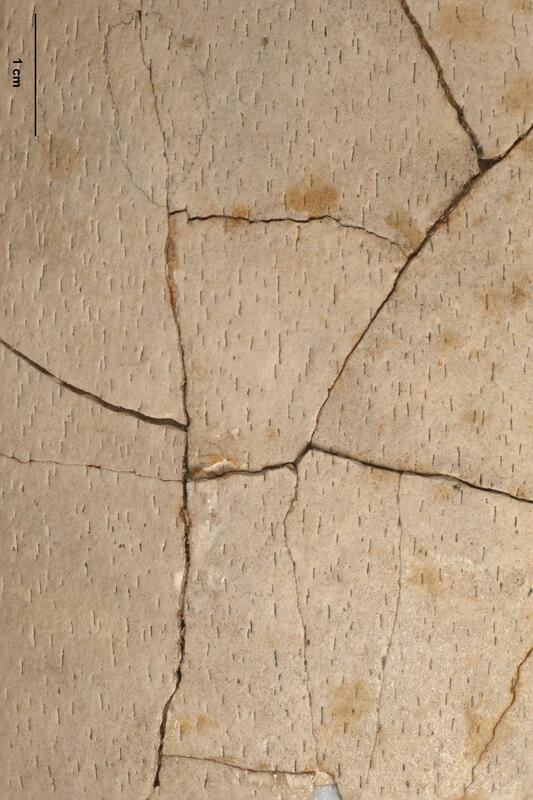 Feathers on mummified remains suggest that stout-legged moa had plain or slightly streaked plumage. 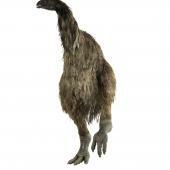 Voice: unknown, but probably loud and far-carrying. 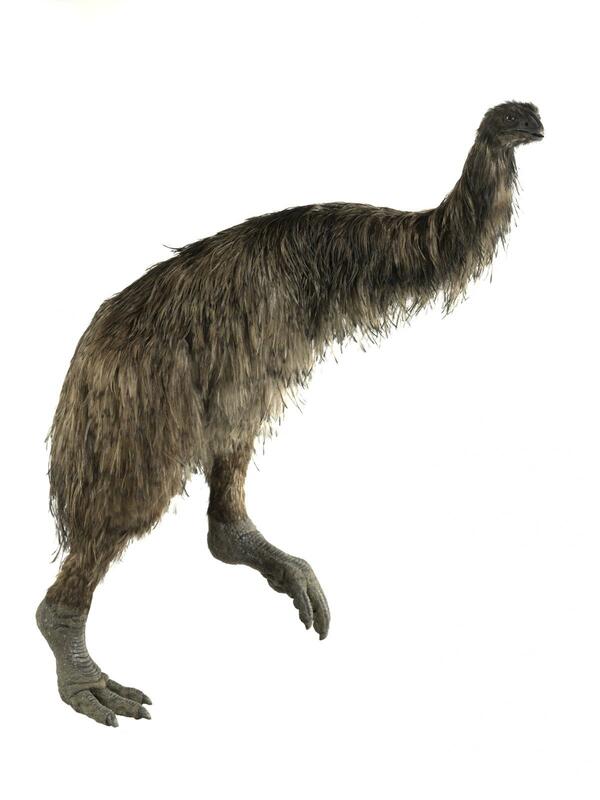 Similar species: the eastern moa was confined to the South Island, and was smaller and less bulky than those stout-legged moa that shared its range. 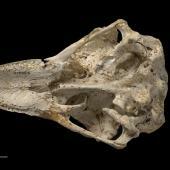 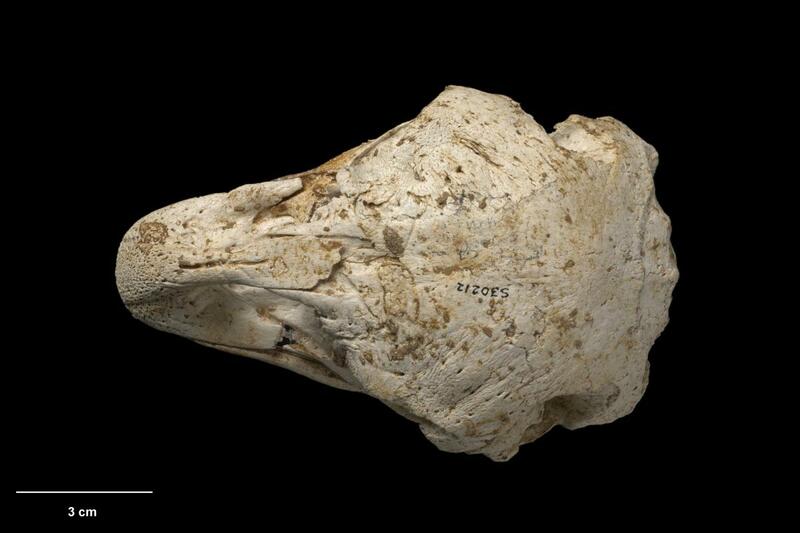 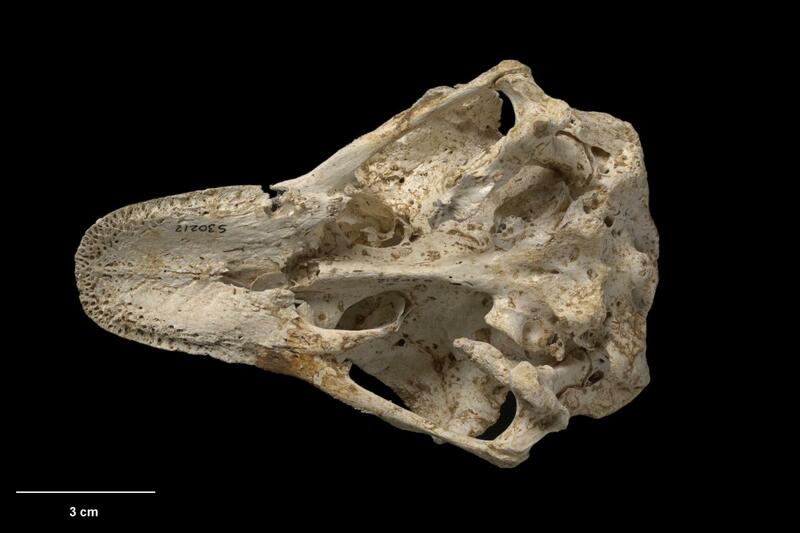 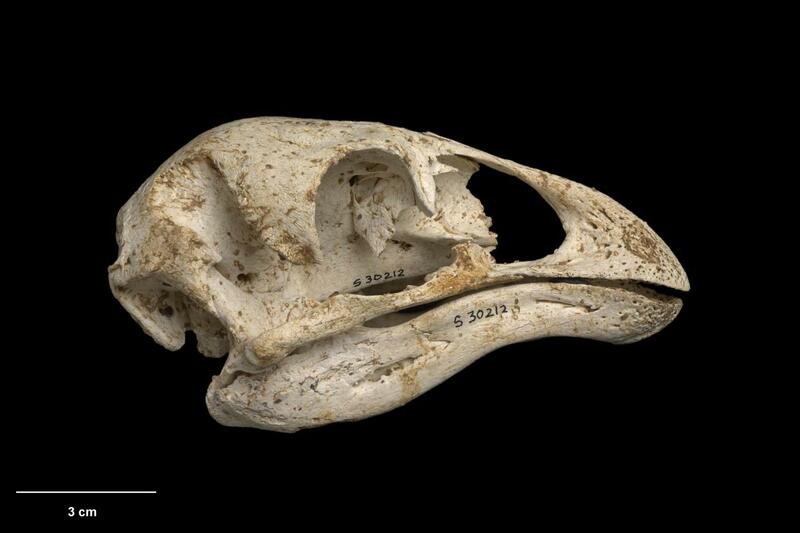 Mantell’s moa (North Island only) was smaller but more robust, and had a more elongate skull. Stout-legged moa occupied lowland open forest and coastal sites with drier climates across most of the North Island, Aotea/Great Barrier Island, and eastern lowland regions of the South Island. 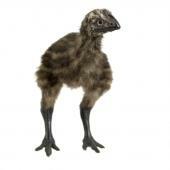 Stout-legged moa were common in both the North and South Islands. 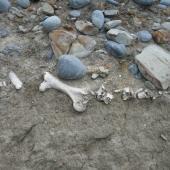 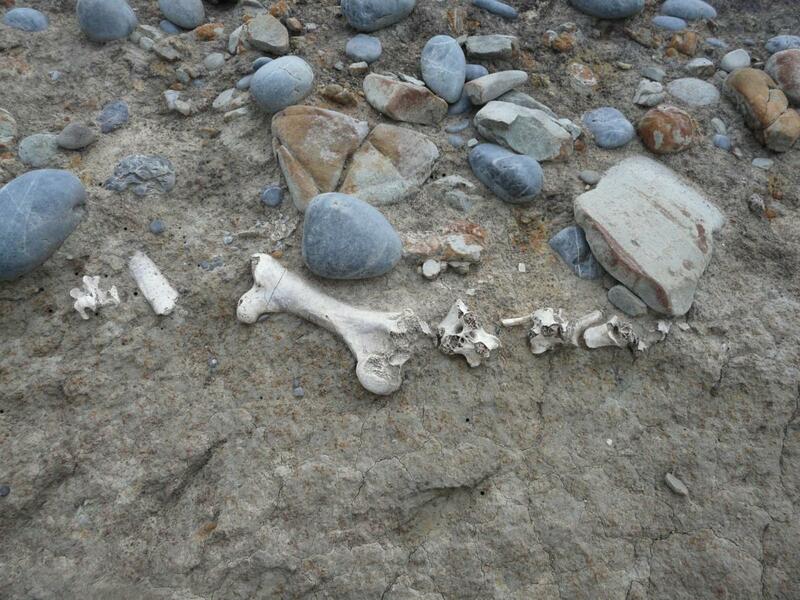 Middens at the Wairau River bar, Marlborough, dating from the thirteenth century, contained remains of more than 4,000 individual moa and large numbers of moa eggs. 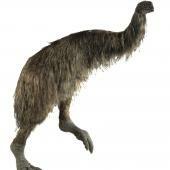 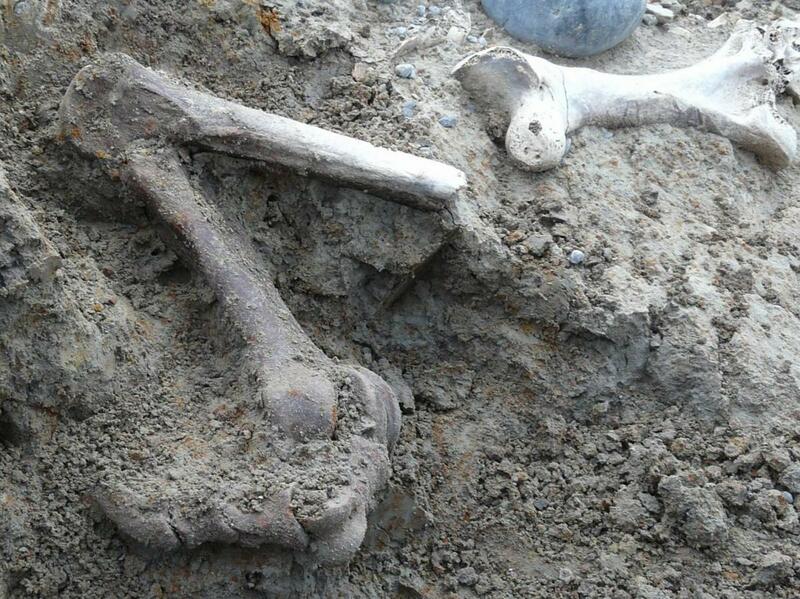 The stout-legged moa was the most abundant species here and at all other moa-hunter archaeological sites along the Canterbury and Otago coasts. 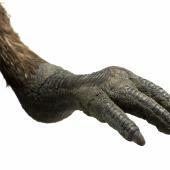 The main cause of extinction was overhunting by humans. 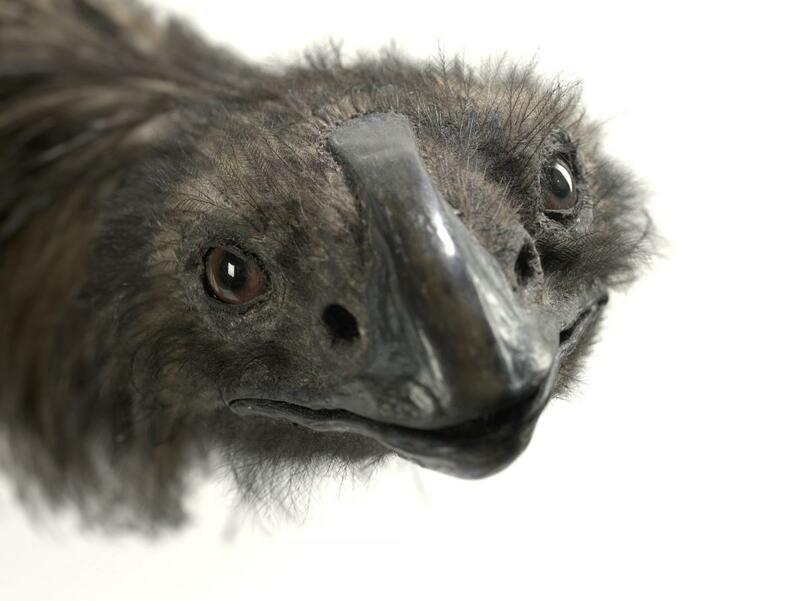 The remains of moa are widespread in middens, along with specialised tools used to cut up carcasses and to work bones into tools. 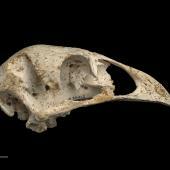 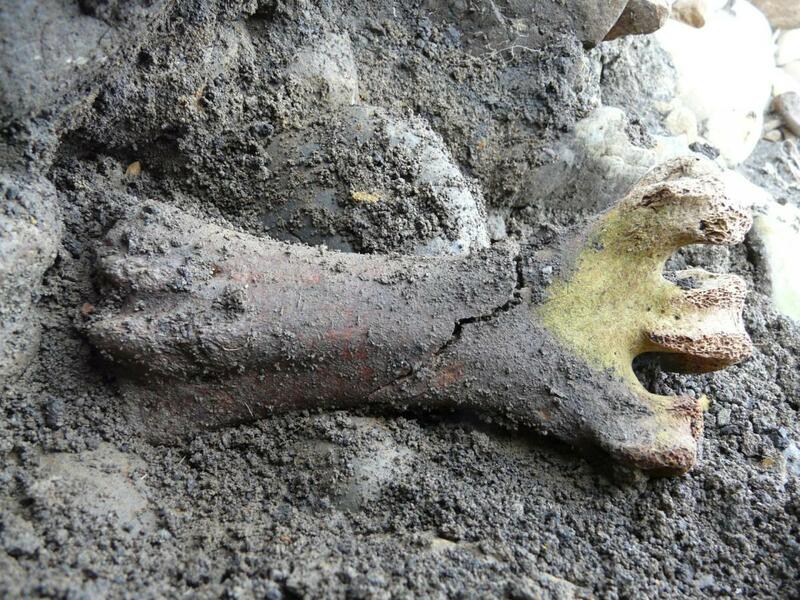 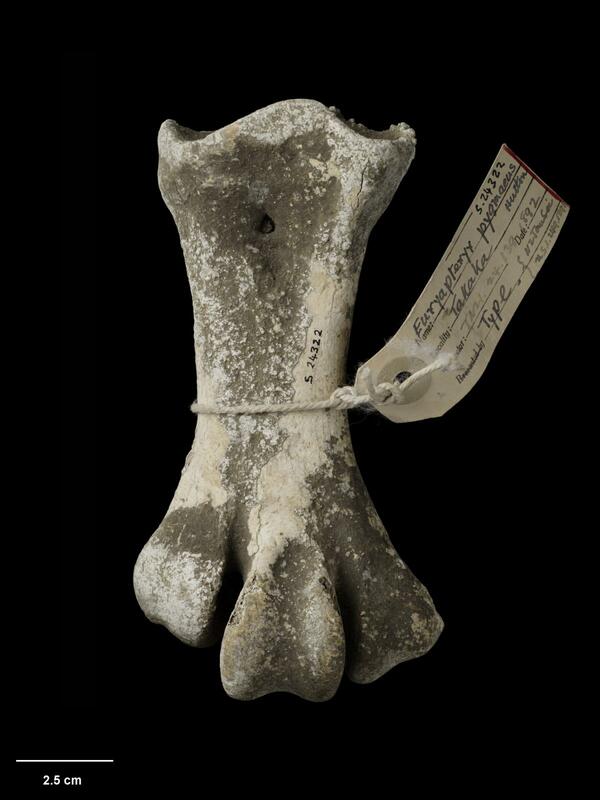 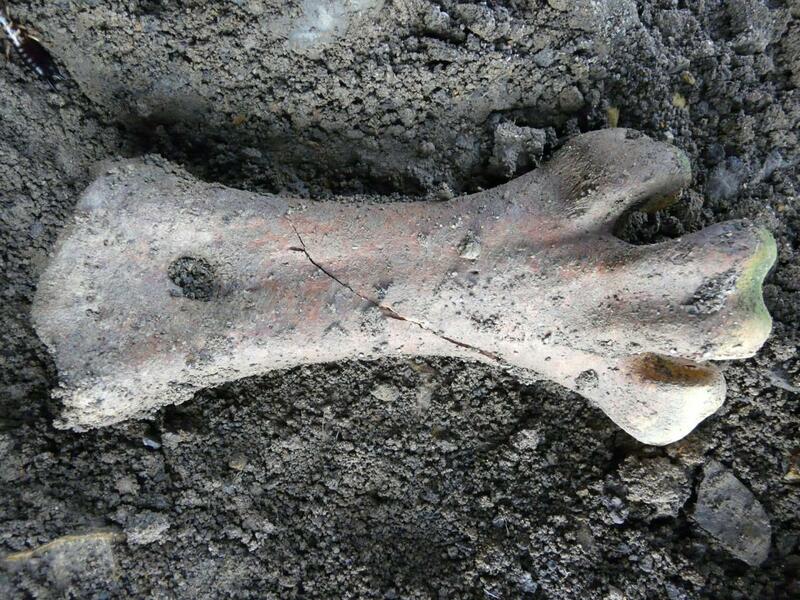 Moa chicks may have been eaten by the introduced Polynesian dog (kuri). 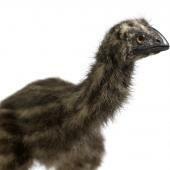 Burning of the stout-legged moa's forest and shrubland habitats is also likely to have reduced its numbers. 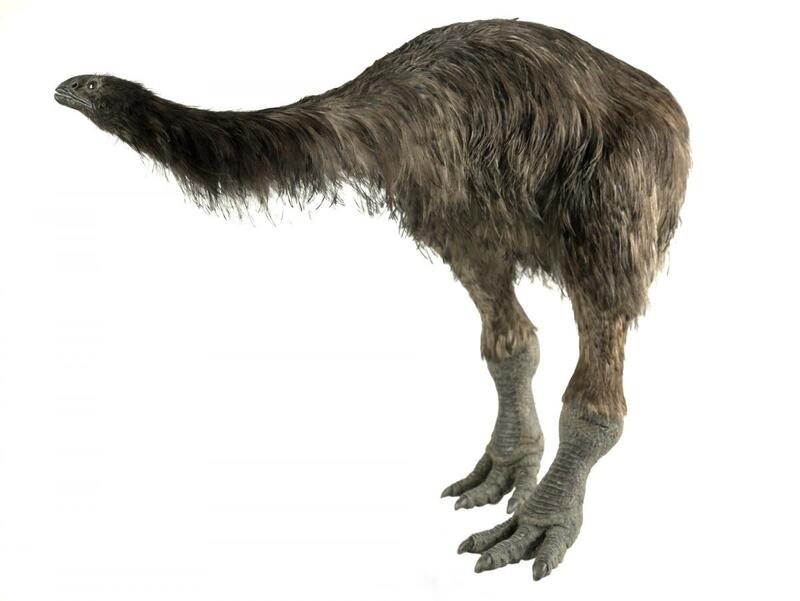 DNA evidence and egg shell and bone remains found at rock shelter sites in north and central Otago suggest that stout-legged moa once nested in rock shelters in this region. 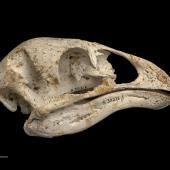 Plant remains found at nest sites strongly suggests they built nests in late spring-early summer. 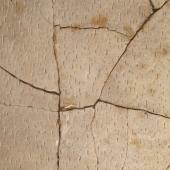 The plant remains found show they clipped twigs 20-60 mm long and up to 4.7 mm wide from a wide range of locally available trees and shrubs using their bill. 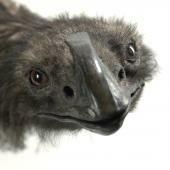 The nest consisted of a shallow bed of clipped twigs, coarse vegetation and stripped bark. 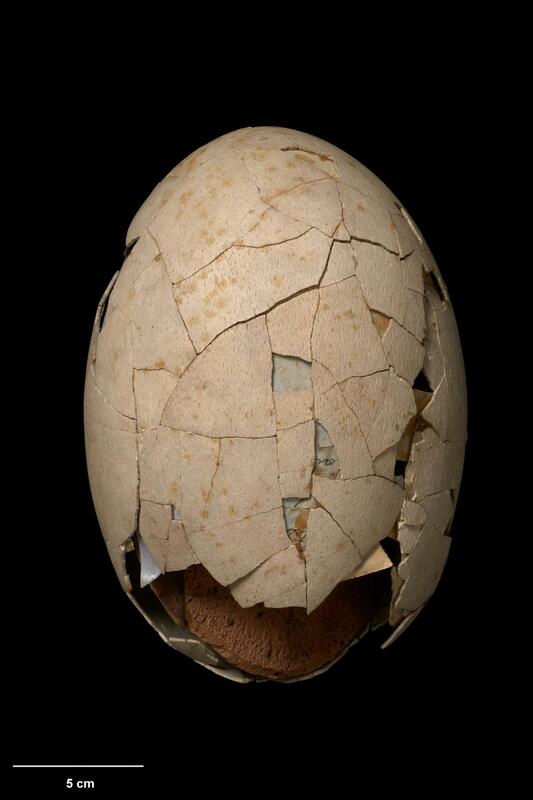 Nesting in rock shelters suggests that they bred as isolated pairs, rather than colonies. 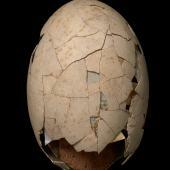 One or two eggs were probably laid per breeding season. 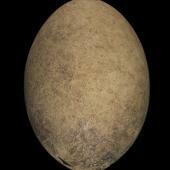 The relatively large eggs in comparison with body size suggest a long incubation, probably longer than two months. 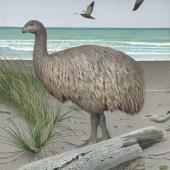 Two moa eggs from Doubtless Bay (average dimensions 121 x 94 mm) are likely to be from the small northern population of this species. 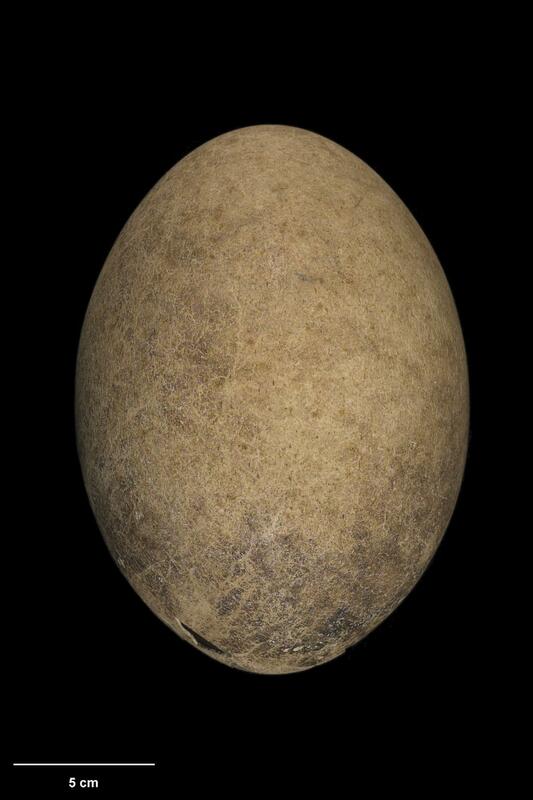 Eggs from the South island attributed to stout-legged moa averaged 204 x 143 mm. 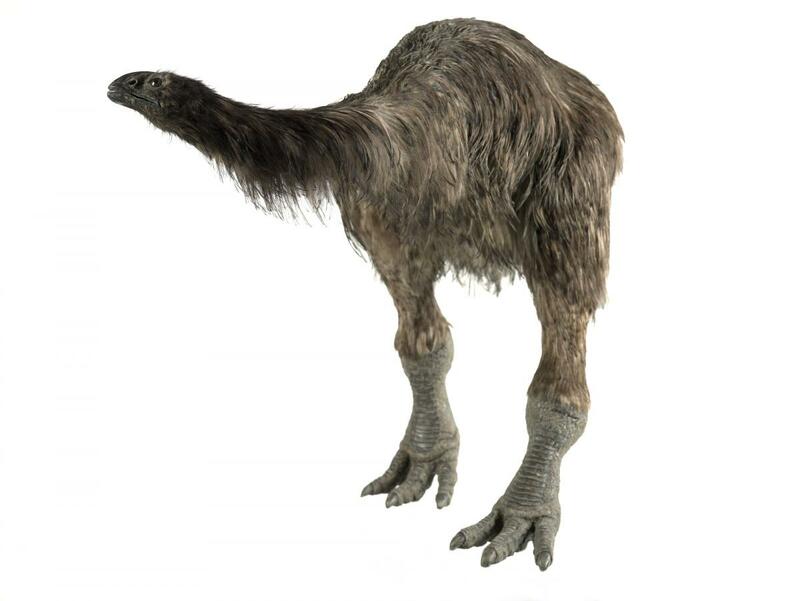 Stout-legged moa lived in the vegetation mosaic of grassland-shrubland-forest found in the drier regions of the North and South Islands, especially in Canterbury and Otago, and coastal areas in the North Island. 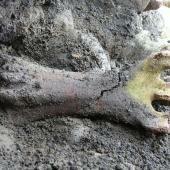 They browsed shrubs and herbs. 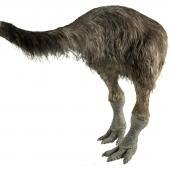 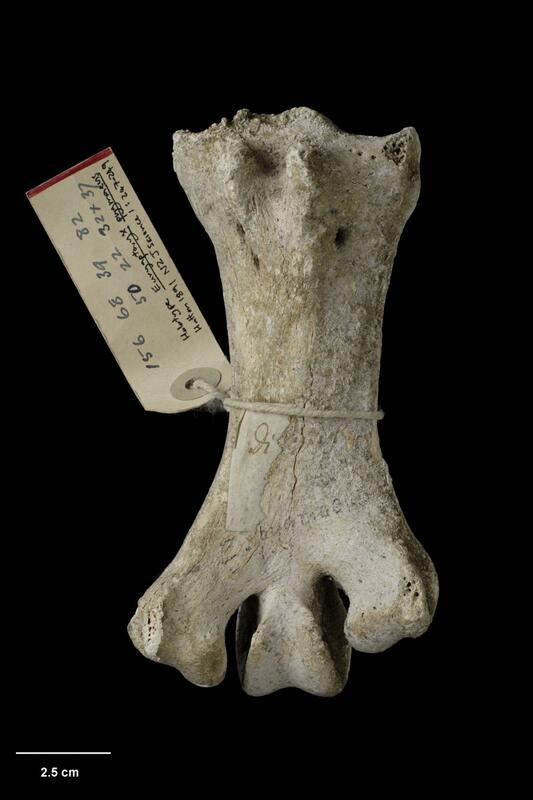 DNA study shows that stout-legged moa in central Otago had a diverse diet of herbs and shrubs, reflecting local vegetation patterns and ground-level grazing of herbaceous plants. 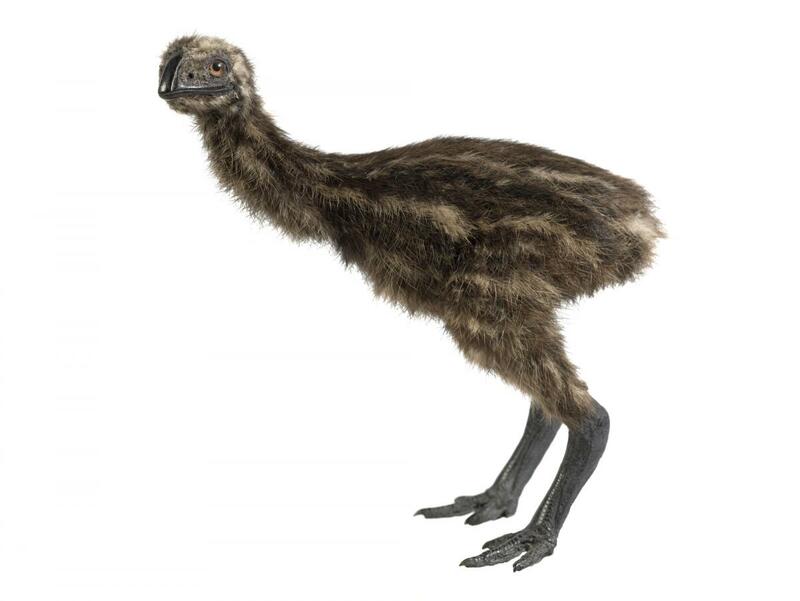 Stout-legged moa took up to nine years to reach adult size. 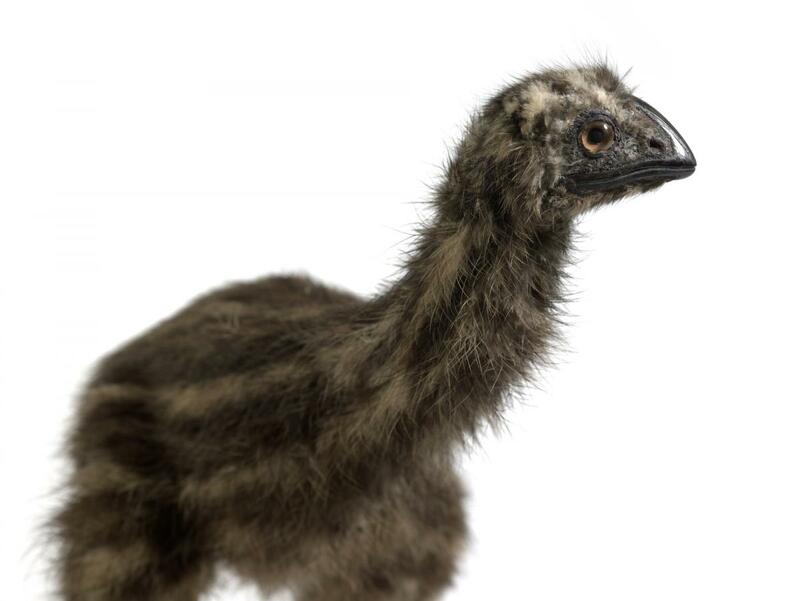 A diverse diet of leaves and fruits of trees, shrubs and herbaceous plants, rather than the more fibrous, woody material eaten by the larger moa species. 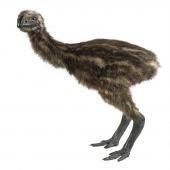 A stout, short-legged moa with a relatively small head, a compact blunt decurved bill, thick legs and very wide feet. 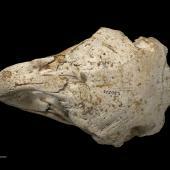 Adult females were 1-2 times as large as adult males.